According to the Lawrence Berkeley National Laboratory, windows account for 10 to 30 percent of heating and cooling bills in a typical house. Most windows used in older housing stock (prevalent in Philadelphia) are single-pane. Upgrading from single-pane windows to energy-efficient double- or triple-pane windows can cut the window component of your heating and cooling bill in half, equaling an overall 15 percent savings. Now might just be the right time to update your home’s fenestration. Uncle Sam is offering a 30 percent tax credit (up to $1,500) on the purchase price (excluding the installation costs) of qualified energy-efficient windows installed in 2010. 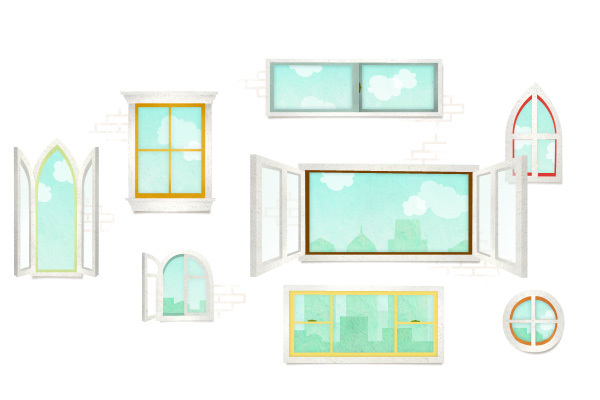 So, what exactly qualifies windows as “energy efficient” and eligible for the tax credit? It’s all about U-factors and solar heat gain coefficients (SHGC). The National Fenestration Rating Council certifies performance ratings on windows, and certified windows have a label that displays the window’s performance characteristics. These ratings include U-factor, SHGC and air leakage. The U-factor shows the rate at which a window conducts heat flow that isn’t directly generated from the sun—that is, heat present in the air surrounding the window. The lower the U-factor, the better the window is at insulating your house. To qualify for the tax credit, a window must have a U-factor equal to or less than 0.3. The SHGC is a measure of the fraction of solar radiation transmitted through a window as heat. The lower the number, the greater its ability to block heat gained from the sun, helping to reduce your cooling bill. Conversely, a high SHGC means that the window is more effective at allowing solar heat into your house in the winter. Therefore, the SHGC that’s most desirable will vary with climate, window orientation and external shading. If you live in a colder climate, you might want to reap the benefits of that solar heat gain in the winter to help lower your heating bills. However, to qualify for the tax credit, the SHGC needs to be 0.30 or lower. Visit the ENERGY STAR website (energystar.gov) and click on the “Tax Credits” link for more information. While the air leakage rating isn’t relevant for the tax credit, it can be very important to your overall comfort. In fact, it’s essential to keep in mind that energy savings is not the sole reason to replace your windows. Reducing air leakage will make your home more comfortable, keeping the inside temperature more consistent from room to room. Another term you may have heard thrown around is “low-E.” Low-E (or “low emittance”) coatings are super thin metal or metallic oxide layers applied to the window surface to reduce the U-factor. Different kinds of low-E coatings have been developed to allow for different levels of solar gain, so just because a window has a low-E coating doesn’t mean it has a low SHGC rating. Even with the tax credit, installing new windows is an expensive undertaking—but it’s one that can have a positive long term effect on your bottom line. For instance, upgrading from single-pane to double-pane windows will typically add to the value of your home. It’s also important to note that spending a little extra money upfront for a low-e coating or an inert gas-filled window—which has a lower U-factor and can be up to twice as efficient as standard double-panes—is a great investment. But what if you simply can’t afford the expense of new windows, with or without the tax credit? Or what if you’re concerned that replacing your windows will significantly change the character of your historic Philadelphia home? Fortunately, there are other ways to increase the energy-efficiency of your current windows. Storm windows, while becoming increasingly difficult to find, can be a good solution to your problem. Though they won’t add much to the insulating properties of your windows, they help reduce airflow in and out of your house, mitigating your heating and cooling costs while improving your overall comfort level. Caulking and weatherstripping windows can also yield savings, eliminating drafts and reducing the airflow in and out of your house. And of course, you can also go the old-fashioned route and carefully select window treatments and coverings that reduce heat loss in the winter and heat gain in the summer. Blinds, drapes, exterior sunshades and shutters all fall into this category. Plus, if you don’t currently have window coverings, your neighbors might appreciate it.